Ferrara Pan Candy is a classic company that manufactures some of the most timeless treats on the market. Their most well-known creation is their popular line Lemonheads and Friends, which features the old standard, Lemonheads, and its several flavorful spin-offs. Appleheads, Cherryheads, and Berry Chewy Lemonheads are now part of the Lemonheads canon, and are just as well-loved today as they always were. Stock up your store or concession stand the smart way by shopping our Lemonheads candy in bulk, or simply indulge in some nostalgia for you and your family with a few choice standards. Red Hots candy and Boston Baked Beans are also made by the Ferrara Pan candy company, and give an equally delicious nod to old childhood favorites. So if you’re looking for a line of true classics, you’ve found it! Browse our full selection of Ferrara Pan candy today and enjoy great deals and free shipping on orders of $150 and up! Delicious candy coated peanuts! They're so good, you can't stop eating them! Spicy and with lots of cinnamon taste! The Original Jawbreaker. These long lasting hard candies can last for hours or even days! Berry Chewy Lemonheads and Friends. 24 pre-priced berry chewy boxes. Intense lemon flavor with intense lemon pucker power! Sour cherry flavored exterior with a sweet hard candy inside! 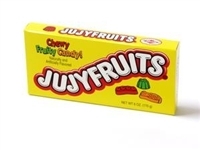 It is the cherry version of the famous Lemon Head candy. Sour grape flavored exterior with a sweet hard candy inside! It is the grape version of the famous Lemon Head candy. 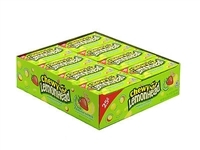 Everybody�s a fan of Redhead Chewy Lemonhead & Friends. Epic fruitiness that�s totally chewalicious. Awesome Wild Cherry, Raspberry-Lemon, Strawberry and Watermelon flavor in every box. Individually Wrapped Atomic Fireballs in a display jar. Intense cinnamon flavor! !